Still grieving after a tragic miscarriage, Minty returns to Eden Hall…to find herself refused entry! Minty’s husband Patrick has urgent problems of his own to deal with, so she has to tackle the situation herself. Minty discovers that a new and over-confident Administrator has arranged for a nationally advertised music festival to take place in the grounds and that the charismatic lead singer, Maxine, has taken over the Hall and intends to stay there! Minty’s closest friends hint that something unspeakable is happening there, but cannot – or dare not – say what it is. Evil seems to be creeping around and through the village, and those who dare to speak out, suffer for it. 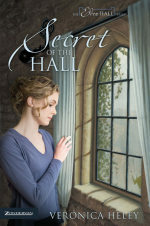 Has Maxine spread tendrils of corruption and evil into the very heart of the Hall? And if so, how can Minty – without even a place to lay her head at night – penetrate the defences which have been put up to keep her and others out of the grounds, and discover the Secret of the Hall?